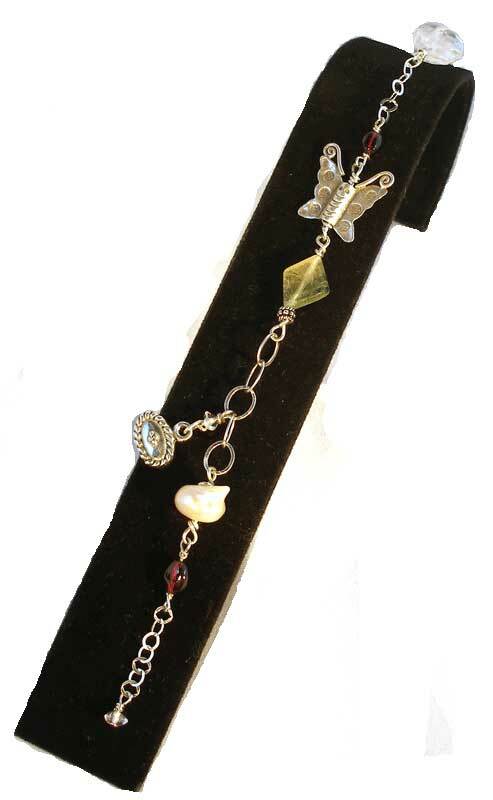 Adorn yourself with this lovely bracelet featuring a Sterling Silver Butterfly charm with another charm that says "Healing". Made with eco-concscious gems: Garnet, Pearl, Fluorite, Quartz, and Sterling Silver Chain. This bracelet can be clasped anywhere along the chain to fit most wrists up to 8"!